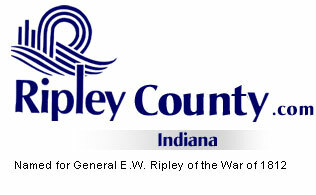 The Ripley County Council met on Tuesday, July 19th, 2005 at the Ripley County Annex in Versailles, Indiana. Dephane Smith, Pro Tem called the meeting to order promptly at 7:00 PM with the pledge allegiance to the flag. Council Members Dephane Smith, David Simon, William Dramann, Mark Busching, Ben Peetz & Edward Armbrecht were in attendance. Donald Dunbar was not present. Council Member Armbrecht made the motion to approve the minutes of the June 14th, 2005 meeting seconded by Council Member Simon. Motion approved unanimously. Council Member Armbrecht made the motion to table to next meeting (due to no one present to explain) the additional appropriation of $827.77 from County General Fund #100-17200-000-043 & $893.65 from County General Fund # 100-17100-000-043 for Soil & Water/Irvin Harmeyer seconded by Council Member Busching. Motion approved unanimously. Council Member Armbrecht made the motion to table to the next meeting (due to no one present to explain) the additional appropriation of $1,200 from Park & Recreation (Electric) Fund #425-33370-000-050 & $1,350 from Park & Recreation (Telephone) Fund # 425-34400-000-050 for Parks & Recreation/Warren Bruns seconded by Council Member Dramann. Motion approved unanimously. Council Member Armbrecht made the motion to approve the additional appropriation of $8,526 from Veterans Van Fund/ Fund # 597-42155-000-597 seconded by Council Member Simon. Motion approved unanimously. Council Member Busching made a motion to deny the transfer of $3,200 from County General Fund # 100-33200-000-006 to County General Fund # 100-25300-000-006 for copy machine for the Recorder/Tammy Borgman and that copier be purchased from Riverboat/Equipment Fund #293-49000-000-293 from Office Shop seconded by Council Member Dramann. Motion approved unanimously. Council Member Busching made the motion to approve the transfer of $1,632.25 from Parks & Recreation/Machinery Fund # 425-43100-000-050 to Park & Recreation/Rep. & Maintenance Fund # 425-36103-000-050 for Park & Recreation/Warren Bruns seconded by Council Member Simon. Motion approve unanimously. Council Member Busching made the motion to adopt the Resolution Concerning The Accessibility of Polling Places and The Administration of (HAVA-The Help America Vote Act Of 2002) Funds seconded by Council Member Armbrecht. Motion approved unanimously. Ginger Bradford, Clerk, Ripley Circuit Court reported the 16 Voting Machines will cost $76, 072 and State will pay $64,000 balance of ($12,072) will be paid by Ripley County. Sheriff’s Department presented the council members a report on the Jail Commissary Fund of $67,046.72 Income/ $1,059.55 Purchases with a balance in the Jail Commissary Fund $55,990.18. Council Member Smith reminded the council members that the budget hearings are Tuesday, Wednesday & Thursday, August 30, 31 & Sept 1, 2005 @ 7:30 AM each day in the Ripley County Annex. Public Hearing August 30th, 2005 and adoption meeting Tuesday, Sept. 13th, 2005. Council Member Armbrecht made the motion to change the Council Meeting from the regular meeting of Sept. 20th, 2005 to Tuesday, Sept. 13th, 2005 in the Annex seconded by Council Member Dramann. Motion approved unanimously. Technology Committee – Edward Armbrecht –Lightning hit EMS Building/Delaware damaging the Computer equipment. The recommendation of Technology Committee is before any money is spent on equipment; we need to know what the future of EMS is. Welfare Committee- William Dramann-presented a report for review. Council Member Busching made a motion to adjourn until the next regular meeting on Tuesday, August 16th, 2005 seconded by Council Member Armbrecht. Motion approved unanimously.